The NEW tiny wood cooking range from Salamander Stoves. The SALAMANDER tiny wood cook stove. This new mini stove-range is based around our little stove but is more like a mini cooking range. Manufactured and tested to the same high standards as our stove the mini range is another option for a medium sized fireplace where you want more than just heat. A farmhouse kitchen inglenook for example. 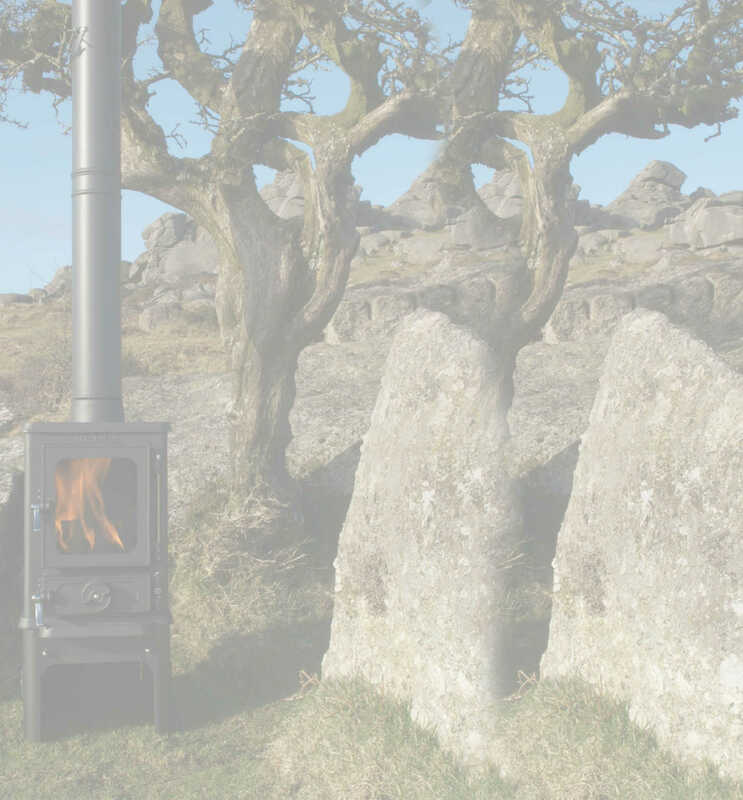 Or a fireplace in a dining room to unleash your wood stove cooking flair. . Due to its compact size it is also ideal for fitting in to a garden room or cabin. 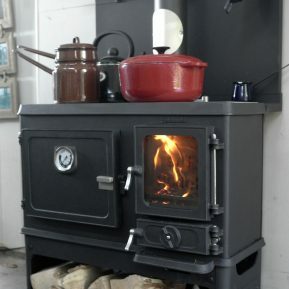 It is a versatile small stove for small spaces like canal boats, tiny homes larger wagons or shepherds huts.